This is another painting available at Powers Gallery right now. It is by Harley Bartlett and is called”Summer Respite”. A peaceful moment during hectic summertime! 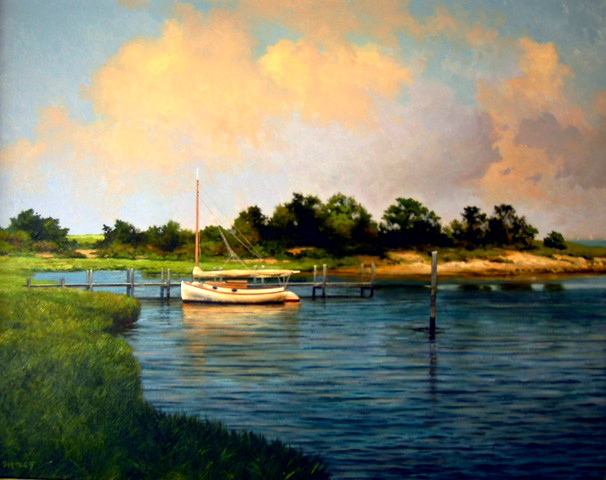 It is a painting of a classic Cape Cod sailboat called a catboat. This entry was posted in summer/beach houses and tagged Concord, Falmouth, Home Improvement, Interior Decor, Summer house. Bookmark the permalink. ← Art in ANY home!